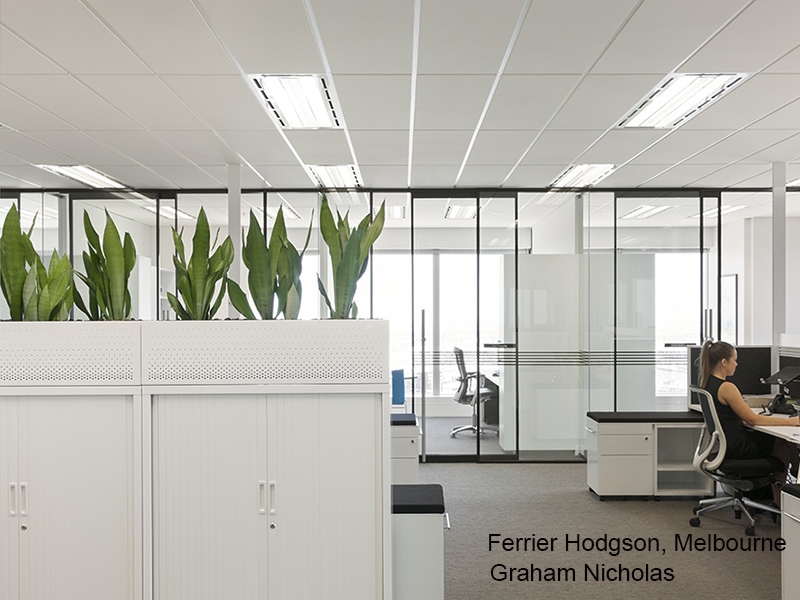 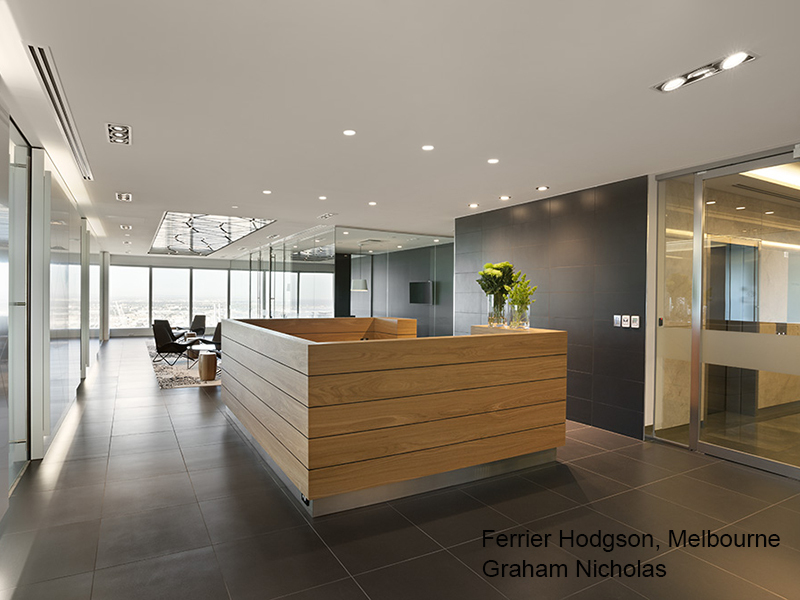 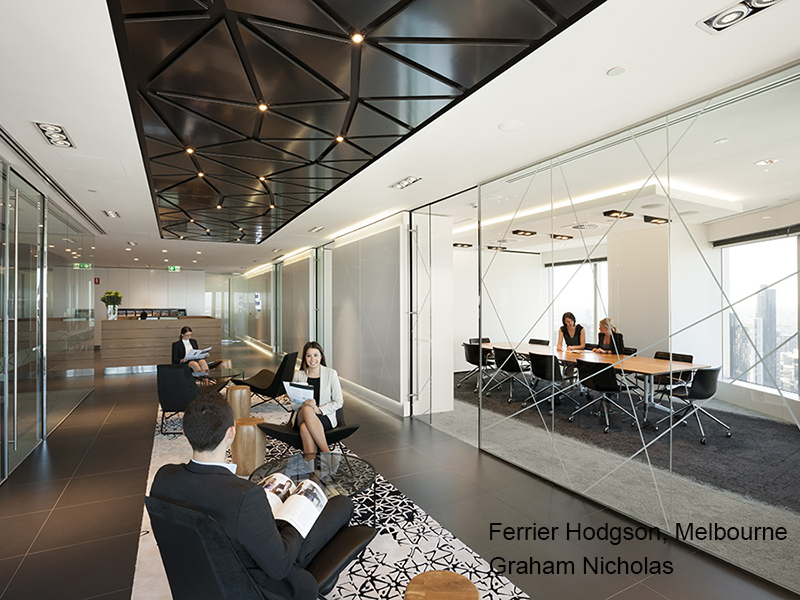 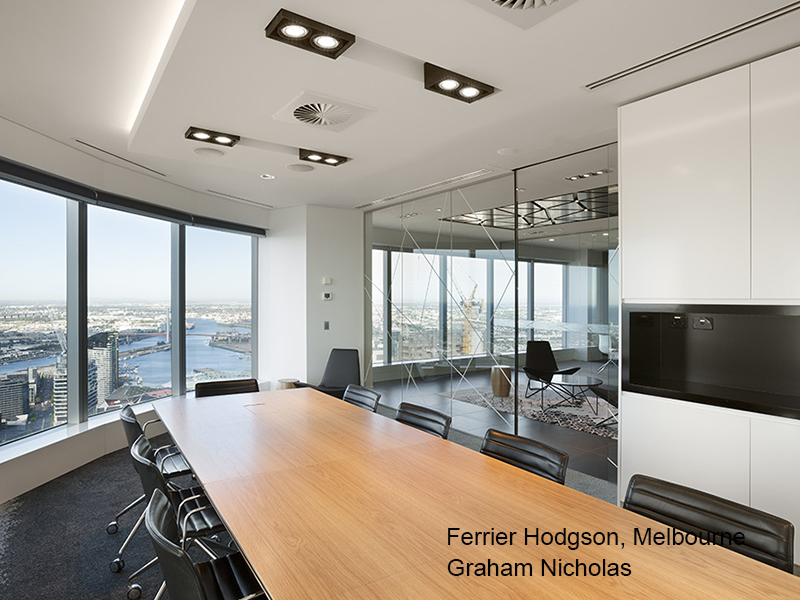 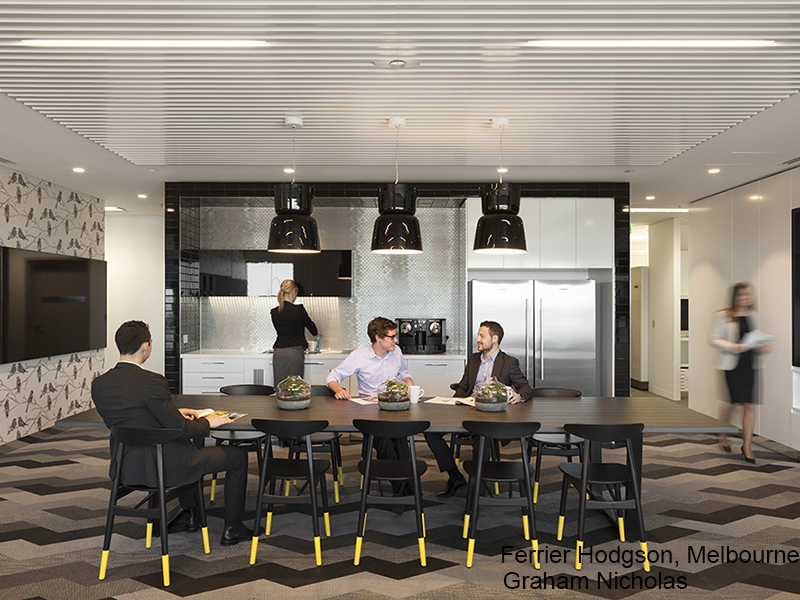 Sonic Lighting was pleased to design and supply the lighting via a collaboration with Graham Nicholas for Ferrier Hodgson in Melbourne. 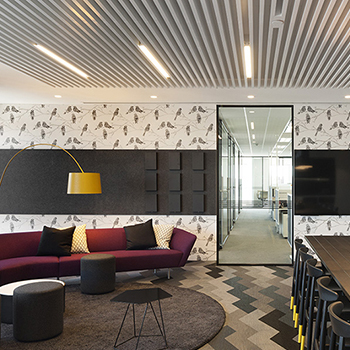 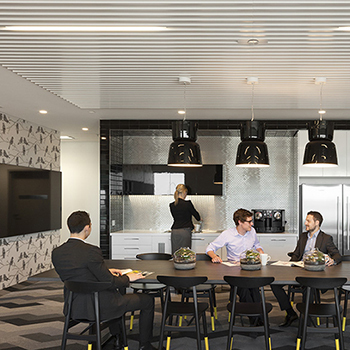 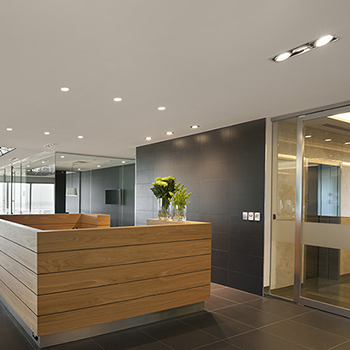 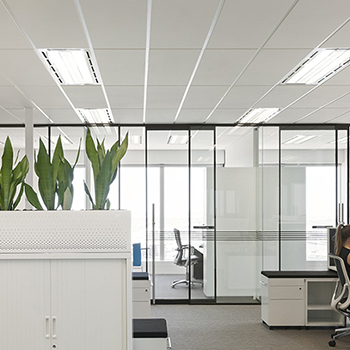 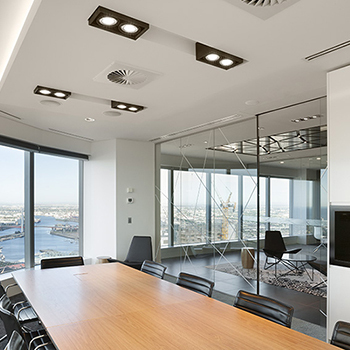 As well as using a combination of designer LED downlights (Arkoslight GAP, DP7, LOOK by Momo) and recessed LED strip throughout for general lighting, the meeting rooms proudly display black Orbital downlights and Nuage Grand pendants. 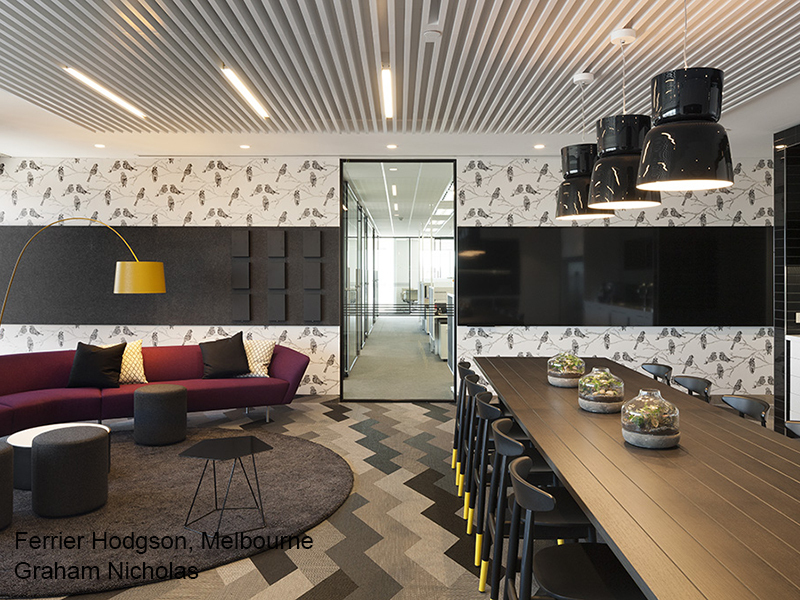 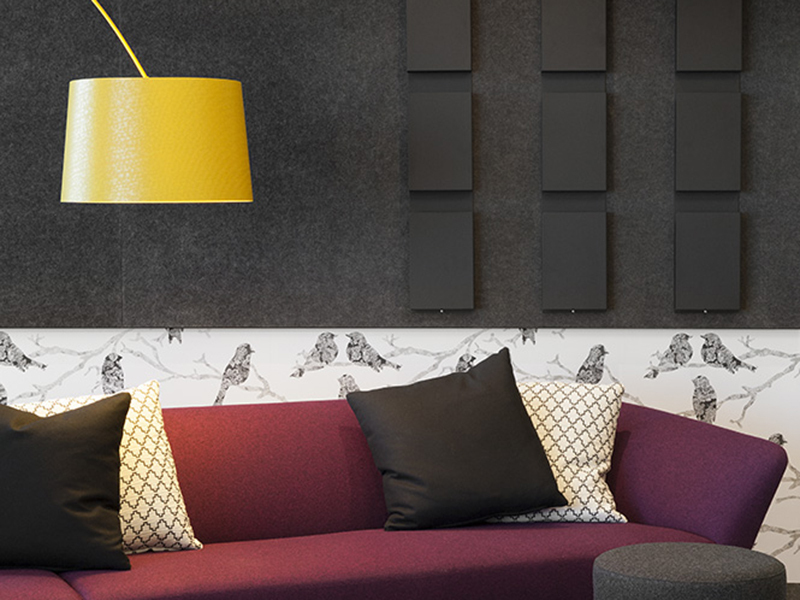 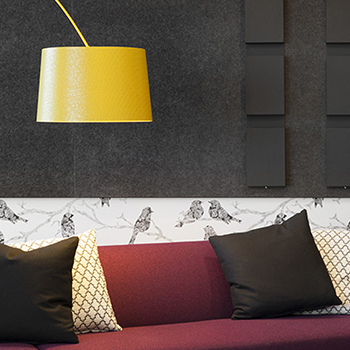 The breakout room features MINO ceiling lights, black Bloom pendants and a yellow Twiggy floor lamp.